For customer service inquiries and seating requests please contact Nicky at nlithgow@govavi.com. It’s the home opener weekend for the Padres and they’re taking on the 2014 World Series Champions, the Giants. 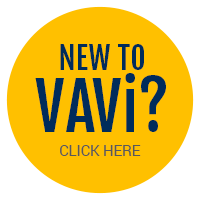 Start the season off right with a party and go see the game live with VAVi! Experience the MLB like never before: Pre-game with VAVi, enjoy games, giveaways, drinks, music and more, then once the game starts, head into exclusive seating in our VAVi section in Petco Park! After the game head over to The Deck for VIP entrance to the after party.